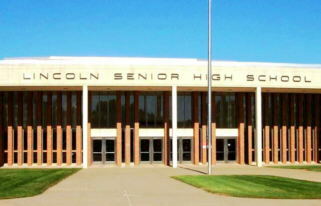 My wife teaches at Lincoln High School. Her students recently asked her what I do. She explained and mentioned some of the businesses I write for. She said she was shocked at how many students had heard them and remembered specific ads. So, here’s the cool part. Those businesses she mentioned, don’t advertise on the “younger” station, Hot 104.7. And that helps me prove a point. Radio reaches a lot of people you don’t even think are listening. But those ads don’t get heard if they are just typical radio ads. The radio ads that get heard and that impact people are the ones that break the rules. And it doesn’t matter if you’re airing :15, :30, or 60-second ads. You can still put a message out there that gets more attention than the average. Our brains listen to ads that are UNpredictable. They ignore the ads that are anticipated. How did those high school students hear ads that only air on adult stations? I’m not exactly sure. Radio listenership is also unpredictable. The scientific types would like to think that radio station demographics are absolute and predictable. But they’re not. The massive power of radio lies in finding the right message to communicate to the public. Once you find the right thing to say, you’ll be surprised at who becomes your customer. Over-targeting has hurt a lot of business owners in their quest for the perfect advertising formula. What they should be focusing on is what they can SAY to radio listeners that will move them closer to doing business with them. If you have questions about the cost of radio advertising, which radio stations would be a good fit, or how to get started attracting more customers, don’t be afraid to ask. I like to help good businesses take a bigger slice of the Sioux Falls market.